Applique is a nice way to make crafts. Paper applique is rather simple but offers a great opportunity to show your fantasy. Even 1 year old children can take part in creation by putting parts to their places and helping to attach them. 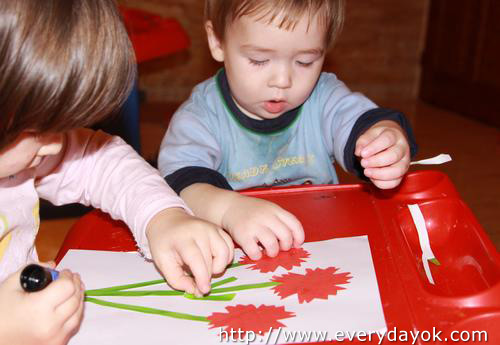 Elder children enjoy cutting out various shapes and working with glue. 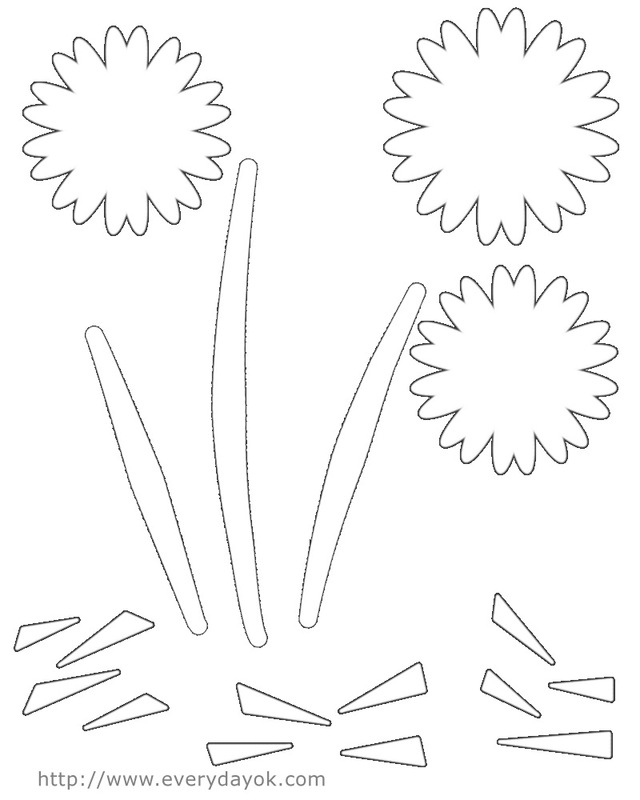 This scheme shows how to make carnations. They are very bright and beautiful flowers and can be a nice present for Mom’s day or somebody’s birthday. 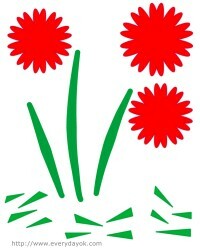 Carnation petals have uneven edges, nevertheless they are very easy to cut out even by 3 or 4 year old children. Cut out an ordinary circle of color paper and then cut off little triangular bits. Though catnations are traditionally pink or red, nowdays flowers ofВ a great variety of colors are cultivated, so you can choose any colors you like. 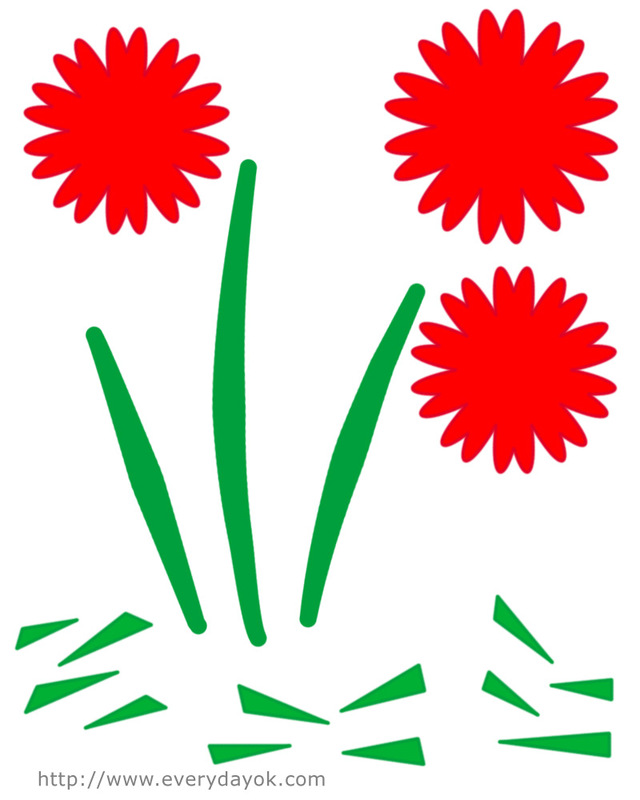 Carnation leaves are shot and grow in pairs. You can use small triangular of rectangular details for them. If you have color printer, you can print out this ready color scheme, cut put the details and then glue them to the sheet of paper. 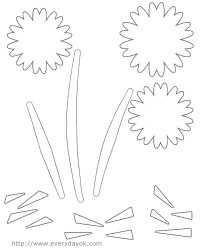 Or you may print put the black and white scheme with outlined details for your children could color all the parts of the applique themselves. Click on any of these images to enlarge them and then print them out.